Hello, thanks for visiting. 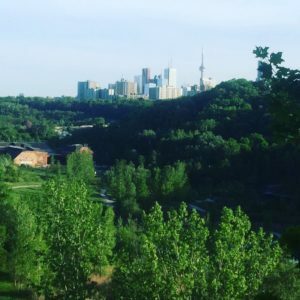 We are a group of nature-loving granola munching Torontonians that spend a good deal of our free time enjoying the vast trail system that we are lucky to have in the middle of our great city. Whether hiking, biking or running through these trails we feel blessed to have them, to be able to access them and to bare witness the beauty and nature they hold. To this end, we feel great pain when we come across abuse and disdain for the trails and ecosystem around them. We have formed this group to advocate and address specific issues of unrelenting dumping of garbage and debris into the ravines. We are looking not to simply clean up but rather to fix issues at the source and stop the reoccurring problems and behaviors that are the cause. We are looking to work with stakeholders at all levels to get a maintainable solution that can address the issue going forward. Join our Mailing List to find out about our events!